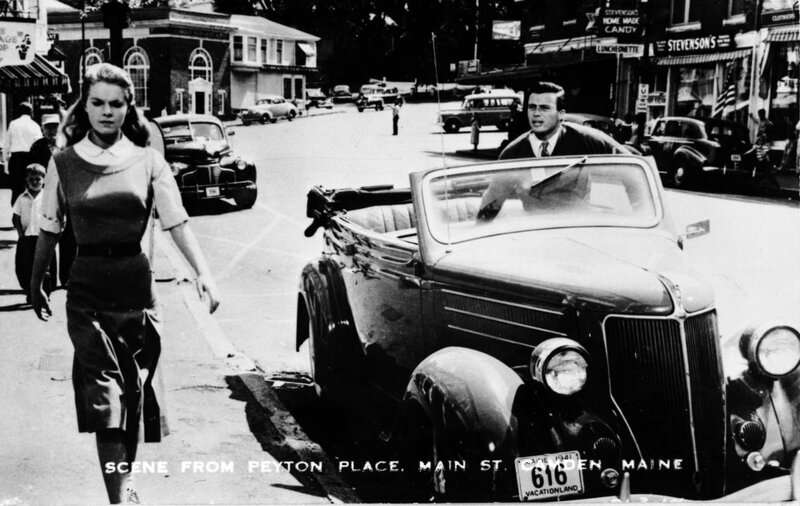 In 1957, 20th Century Fox chose Camden as the location for the filming of Peyton Place, the movie version of the controversial novel by Grace Metalious that portrayed life in a small New England town. 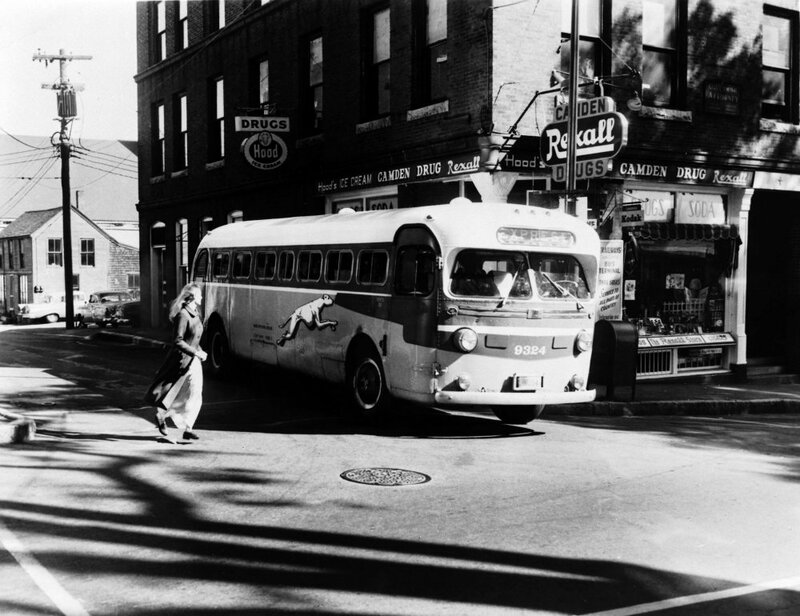 The actual filming of Peyton Place started in June, 1957 with hundreds of extras from the area hired for $10 a day. 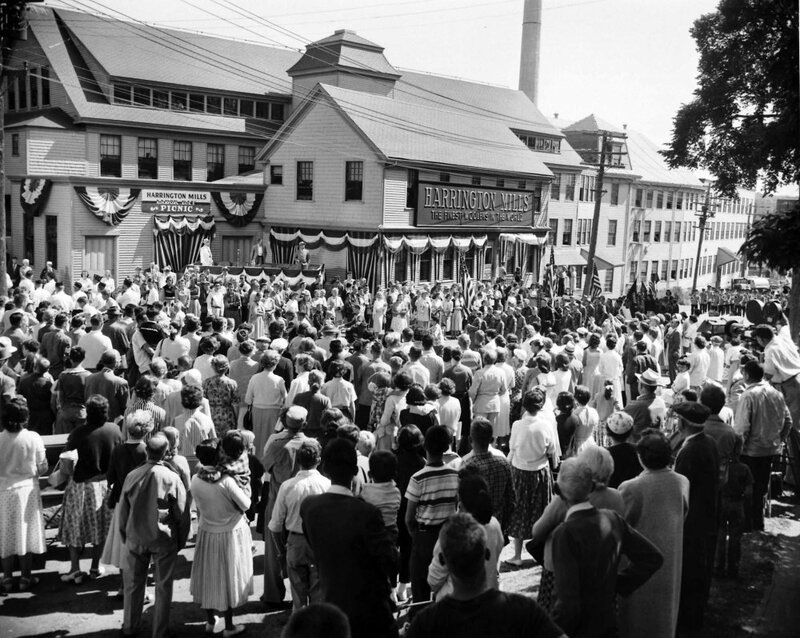 Many townspeople were included in the parade down Main St., a concert at the public landing and a graduation scene in the amphitheatre. All of the stars except Lana Turner were in Camden where 90% of the filming was done. The world premiere took place on December 11, 1957 at the Camden Theater on Mechanic St. Bette Davis and her husband Gary Merrill attended the premiere and over $5000 was raised for the Camden Hospital Building Fund. The original signed script and scrapbooks of news clippings, as well as original photos of the filming are in the Peyton Place Collection at the Camden Public Library. This map includes ALL of the locations in a larger file. Clicking on the following link will open the map in a new browser window. This map shows the locations below, in addition to the locations in the legend above. View map here; and click here to see the list of filming locations. Click here for a modern-day look at the Peyton Place movie locations around the midcoast area. The restoration of “Peyton Place” is being released on Blu-ray on March 14, 2017, for the film’s 60th anniversary in 2017. This video will be included on the new DVD.